Despite its unwelcoming title Get Out! 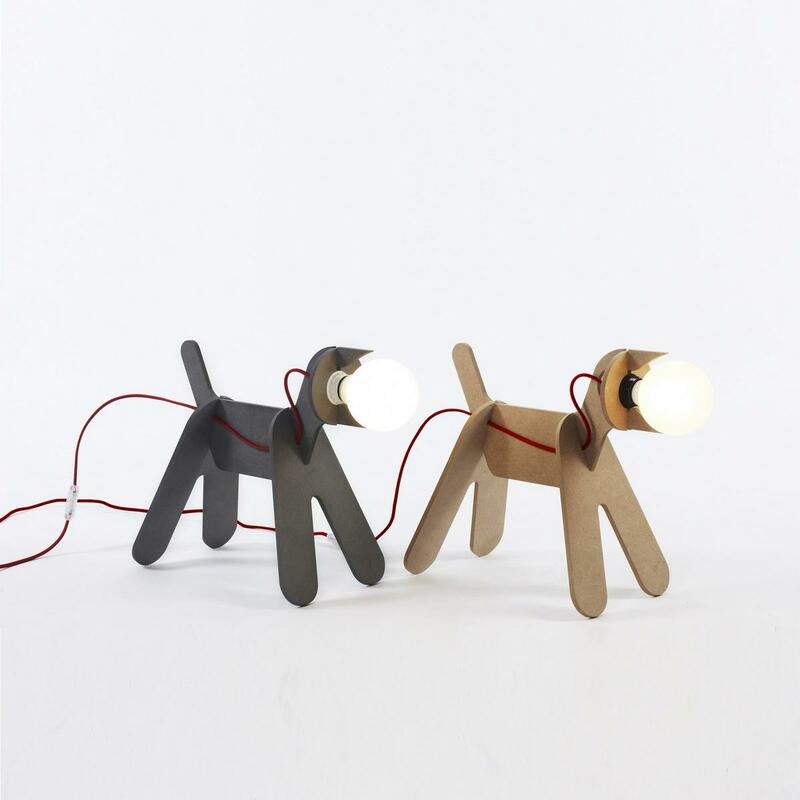 is a cute and playful table lamp. 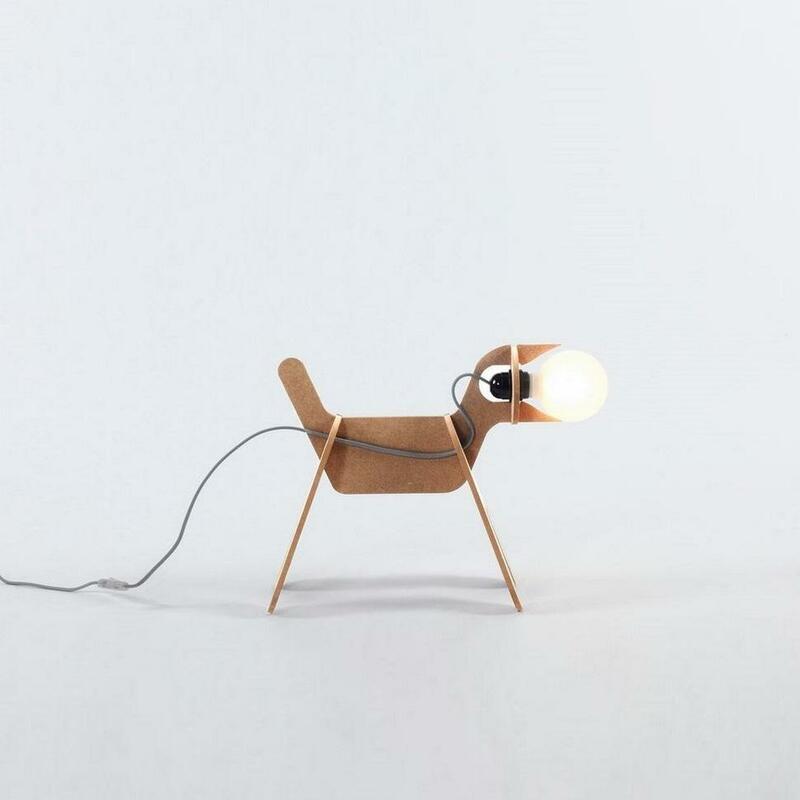 The form of the lamp resembles the appearance of a small doggy, while its name follows the idea of actually walking your dog. Additionally, its unique cable looks like the dog’s leash! 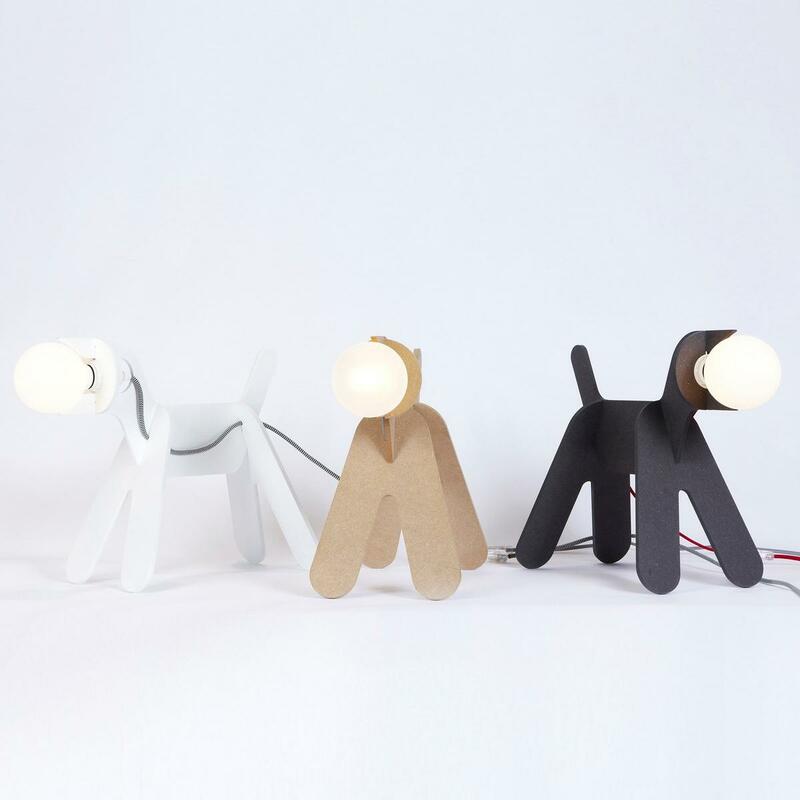 Realized in MDF wood, the lamp Get Out is to be easily assembled like a very simple puzzle. 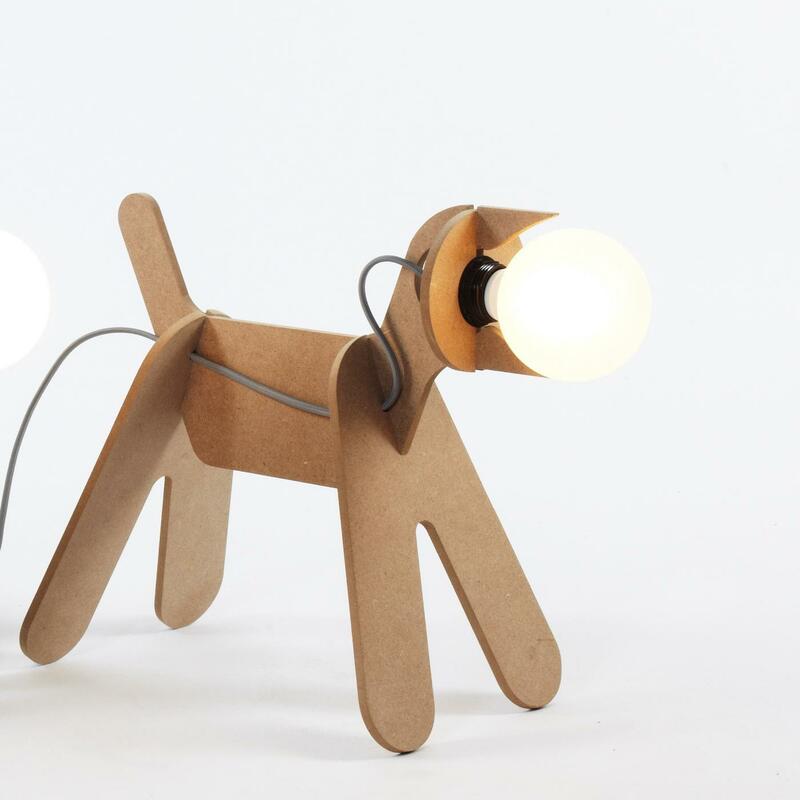 It spreads a soft, reassuring light ideal for kids' room. 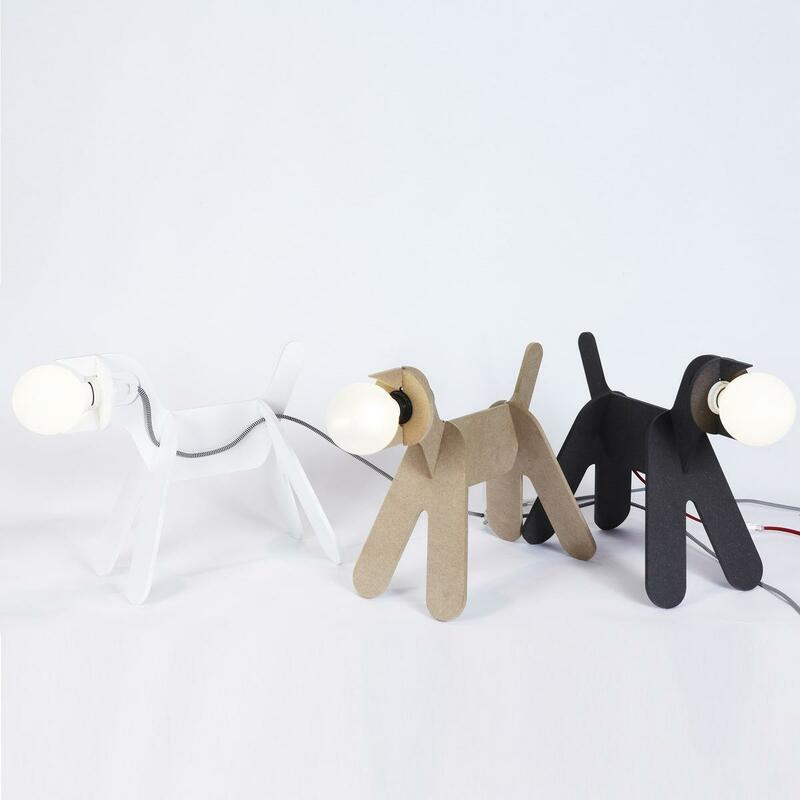 It comes in a range of convenient and friendly colors such as classic white and grey, the natural color of wood and playful orange. 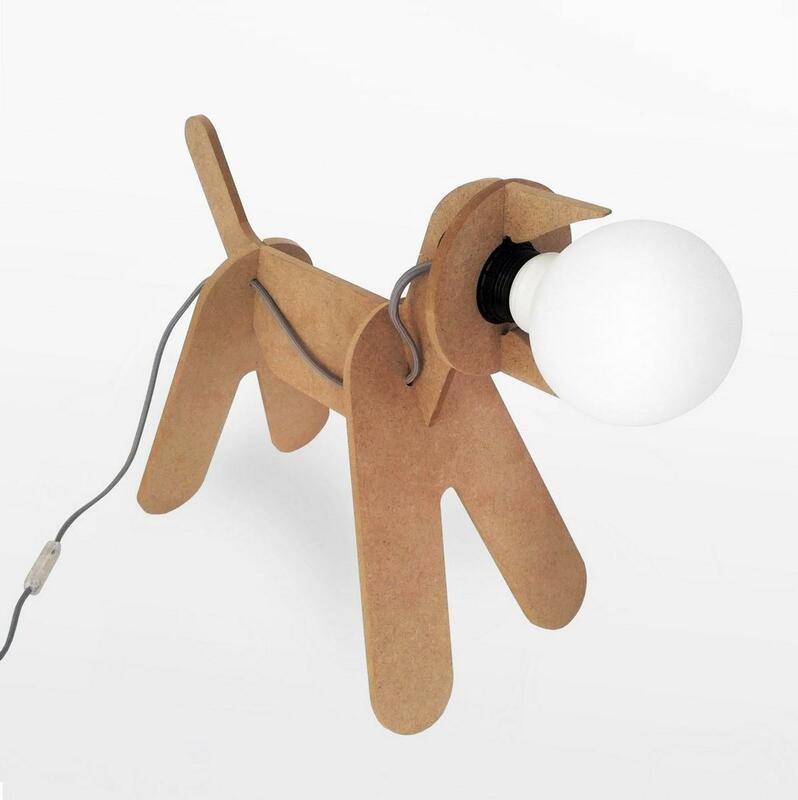 The Get Out table lamp in this version with the color of natural wood is made out of varnished MDF wood and carries a grey cable with On/Off switch. 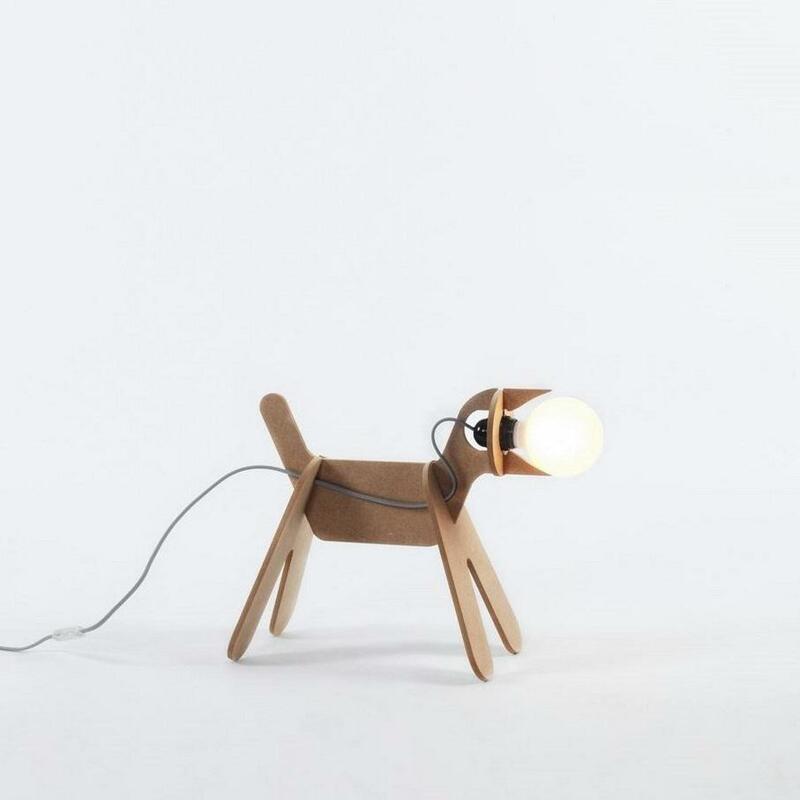 At the same time, lamp and dog, this hybrid creation possesses a singular and unusual presence, full of humor, which will please the children as well as the grown-ups! 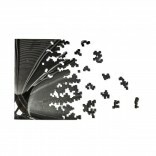 You can also put it on the floor of your living room to create a unique cheerful atmosphere. 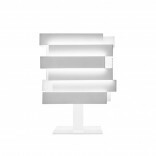 At Design Is This you will find this simple but amazingly beautiful Get Out table lamp. 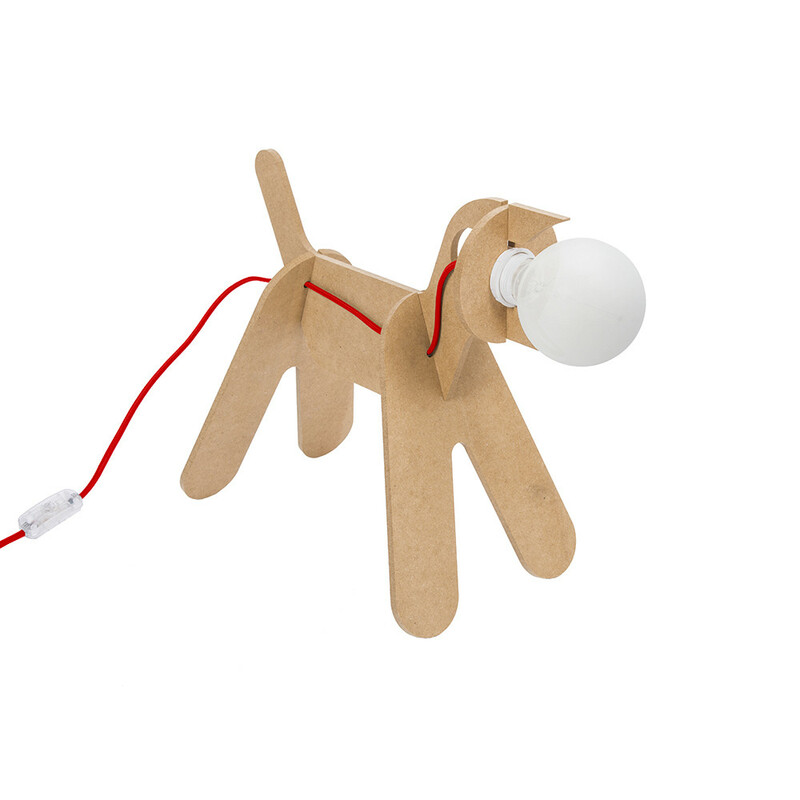 The light bulb is not included.